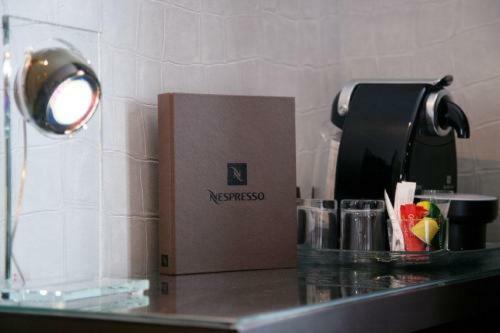 Located beside the Palais des Congrès in the 17th district in Paris, the designer hotel L’Adresse offers stylish guest rooms with a Nespresso coffee machine, free Wi-Fi and a flat-screen TV. The hotel L'Adresse offers a full buffet breakfast, which can be enjoyed in the comfort of your room. Guests can visit the Club Med Gym opposite the hotel, which offers an extensive range of exercise and relaxation options at a surcharge per person per day. 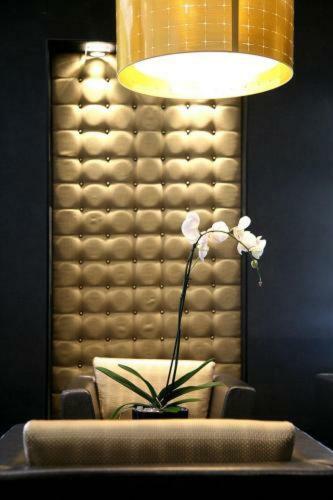 The hotel's concierge service is available to offer advice and respond to guests' needs. This hotel is just a 13-minute walk from the Champs-Elysées and Porte Maillot RER and Metro, 150 metres away, provides direct access to central Paris. Please note that breakfast will not be served from 22 April to 30 April. The breakfast room will be closed during this period. All of these contemporary rooms have an LCD TV. Rate: € 115.00 ... € 315.00; select dates below to get current rates. All of these contemporary rooms have an LCD TV. Extras in this room include views of the Eiffel Tower. Rate: € 165.00 ... € 365.00; select dates below to get current rates.